It marks the first time in over a decade that new Star Trek TV episodes have premiered on Television and also coincides with the series’ 50th anniversary. 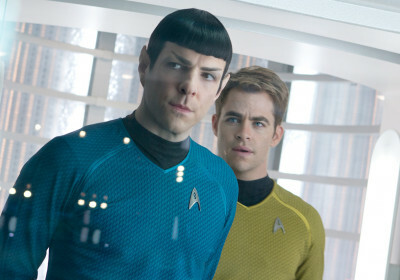 Star Trek has been a favorite for more than 3 generations of science fiction fans. It stretches the imagination, but yet, it seems like it could all be plausible in the not too distant future. Star Trek goes to great lengths to get into the technical nitty gritty of how all of the technology works and does so in a way which makes it seem realistic which is why Star Trek falls into Science Fiction while similar series such as Star Wars fall into fantasy since they use unexplained phenomena such as “the force”. It’s been a long time since we’ve had new Star Trek episodes, or any technical “not too distant future” “not so fantasy based” Sci-Fi series. Personally, I’m a HUUUUGE fan of the new origin movies (and have found childhood memories of the older movies from the 80s as well as the TV Series) – but I know a lot of people who hate them and refuse to even watch them because they “changed” certain things from the older series. I speculate that this new TV series will again change things up and potentially alienate some long time fans; but it will also draw in a whole new generation of fans who never grew up with the older TV show or movies. And that is a good thing. New Star Trek merchandise will also follow. Are you excited for the new series or afraid that it can’t live up to your favorite stories and cast members?